Rene REZEAU (1645 – 1720) was Alex’s 9th Great Grandfather; one of 1,024 in this generation of the Miller line. 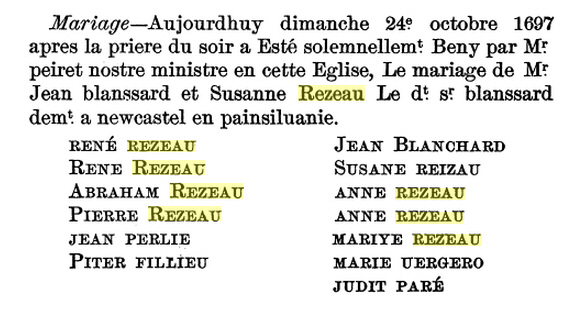 Rene Rezeau was born c. 1645 in St. Martin, Isle of Re, Maritime, France. His parents were Jacques REZEAU and Elizabeth NEAU. 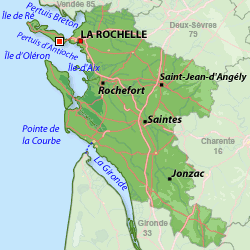 He lived on the Isle of Re, situated almost opposite the City of La Rochelle. Rene married Anne COURSIER 22 Jun 1670 in Ste. Marie De Re, Charente Maritime, France. The population was almost all Protestant, many fishermen had come here from neighboring provinces, planning to migrate to the New World. Included amoung these Huguenots were Rene Rezeau and his wife Anne Coursier. They fled the island in 1685, eventually, they arrived in New York City. Here they joined the French Church, finally, they moved permanetly in Staten Island. Rene died 2 Oct 1720 in Fish Kill, Staten Island, Richmond, New York. Ann Coursier was born c. 1649 in France. Her parents were Jehan COURSIER and Anne PERROTEAU Her parents both died in 1663 when Ann was only 14 and her sister Marie 3 years old. Both girls found their way to America. Ann died 18 Feb 1719 in Elizabethtown, Union, NJ. Sainte Marie de Re - occupies the south-east of Ile de Re. This rural village on the coast is classified as protected wilderness resort, since on 25/02/2009 and Green Holiday Station since 2002. 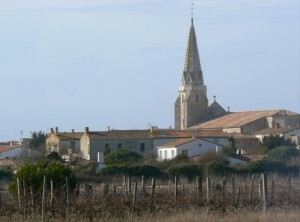 Between land and sea, it is the first agricultural town of Ile de Re. The vine is a big place. Its beaches and wild coastline attracts surfers. 1. Rene Rezeau 9 Aug 1671 in Ste. Marie De Re, Charente Maritim, France Madeleine Genou? Rene Rezeau earned his livelihood as a mason, and while in New York had a daughter baptized, Anne Rezeau, who married Jean Perlier. They also had a daughter named Marie, who married Pierre Traverrier, Jr.
Anne’s sister Marie also escaped Huguenot persecution, see Jehan COURSIER ‘s page for the story of her family. These French Church New York City baptisms show a close connection between the two couple Anne & Rene and Marie & Daniel in the early 1690’s. The Huguenot congregation was formally established in 1628 as L’Église française à la Nouvelle-Amsterdam. This parish continues today as L’Eglise du Saint-Esprit, part of the Episcopal (Anglican) communion still welcoming Francophone New Yorkers from all over the world. Services are still conducted in French for a Francophone parish community, and members of the Huguenot Society of America. There was Huguenot settlement on the south shore of Staten Island, New York in 1692. The present-day neighborhood of Huguenot was named for those early settlers. Rene’s wife Madeleine Genou? . Marie Anne Guichard? 1699 Feb 26; To Jean Melot and Marie Bellamain; Madeleine; Witnessed by Rene Rezeau and Madeleine Genou. The lack of further references could indicate that the girl did not survive much longer than her baptism. The mother apparently did not, as Marie Bellemain Mellott died by the end of the year. Pierre’s first wife Dorcas Guilburt was born in 1680 in France. Dorcas died in Staten Island, Richmond, New York. Pierre’s second wife Marie Contesse was born in 1680 in St Martin En Re, Charente-Maritime, Poitou-Charentes, France. Her parents were Nicolas Contesse and Marie Hue. Pierre had several godparent partners. 1705 Mar 18; Jean Vesien and Anne Rezeau; Jacques; Witnessed by Jacques [Pierre] Rezeau and Marie Rezeau. Our Marie was already married to Jean PERLIER. Marie and her brother Pierre witnessed the 19 Sep 1703 baptism of their nephew Jean. To Jean Perlier and Anne Rezeau; Jean; Witnessed by Pierre Rezeau and Marie Rezeau . Marie married Jean PERLIER II’s half brother Pierre Traverrier on 20 Dec 1743 – Somerset, New Jersey. Pierre was born 6 Jan 1689; Pierre was apprenticed to Peter Chaigneau, cooper, by his mother, who at that time was referred to as a widow, October 21, 1701. Marie and Pierre had only one child, a daughter, Mary Traverrier. This entry was posted in 11th Generation, Huguenot, Immigrant - Continent, Line - Miller and tagged Huguenots Refugees, Staten Island Pioneer. Bookmark the permalink.